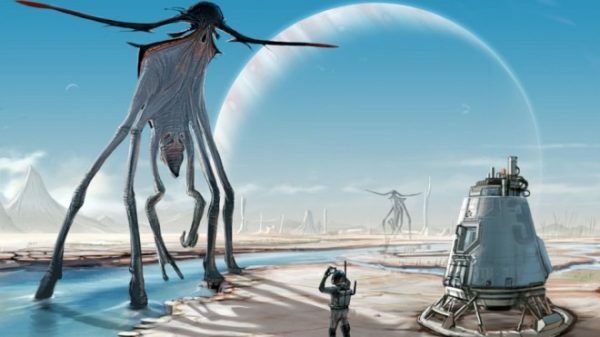 In 2010, nearly 8 years ago it was widely reported that Stephen Hawking warned if aliens do in fact exist, humans should try their best to avoid them. At that time, he was speaking for a television series. He said that an advanced space-faring extraterrestrial civilization would probably be wandering around the universe for a specific purpose: probably to obtain vital materials to preserve their own civilization, and that would of course put them in direct conflict with any residents of Earth in objection to their acquisition of our resources. Basically just as the Europeans pillaged and destroyed civilizations in the Americas, Stephen Hawking cited a readily observable dynamic to paint a quite self evident picture of a possible scenario. It was a four part series, in which he explored topics such as the origin of our universe, aliens, and time travel. In one of the episodes, he makes a very interesting claim that an alien species might have the capability of harvesting solar energy and then using it to open up a wormhole in space, in order to travel to extremely distant regions of the universe. People have all probably heard that Stephen Hawking passed away recently. Rest in peace Stephen Hawking.